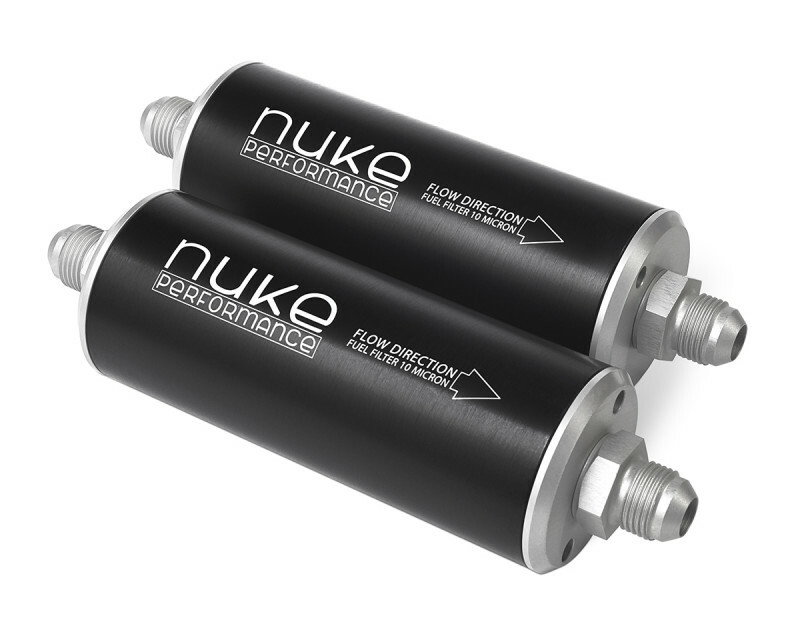 This high flow fuel filter with a 100 micron stainless steel filter element is a slim design to fit installations where space is an issue. 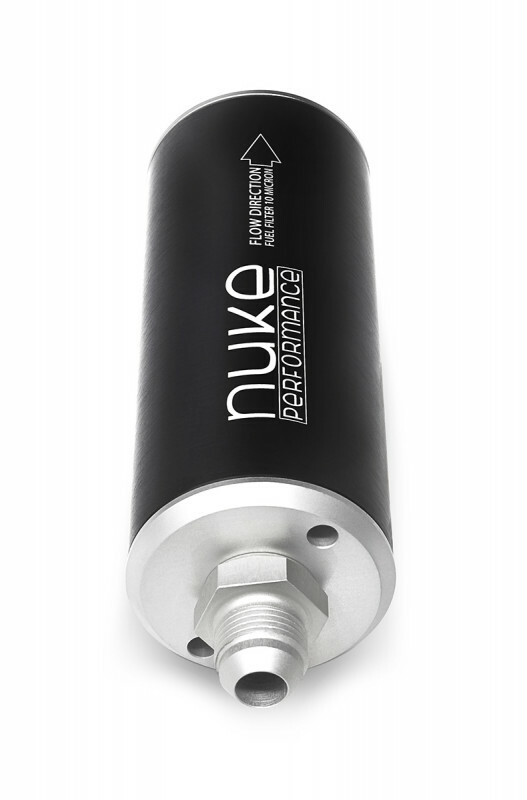 This new and improved design is much lighter than any prior Nuke Performance filter. The filter is designed to have the most minimal flow loss and still be an inexpensive insurance policy to protect your engine from dirt and debris that may have entered the fuel system. The filter element is replaceable and is also designed to stand up to the destructive properties of alcohol fuels, including methanol and ethanol. 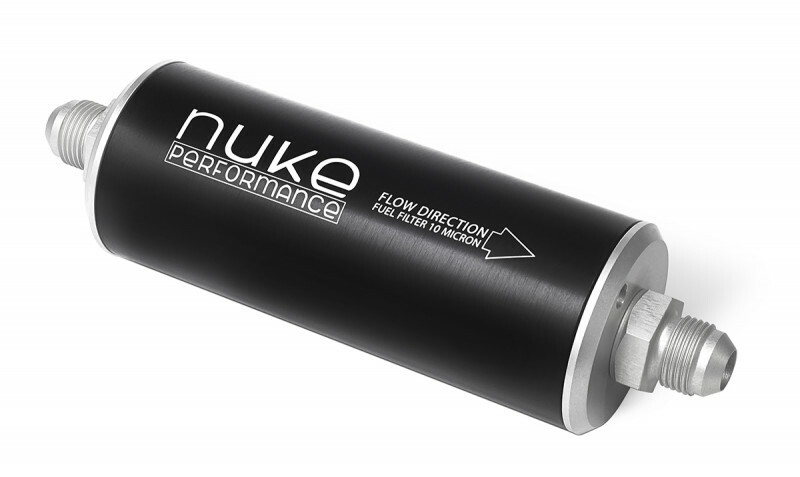 When using ethanol and methanol fuel, Nuke Performance recommends changing the internal filter unit once a season, especially when using ethanol. Inlet and outlet ports are both 3/4 UNF thread and the unit is delivered with 2x AN8 fittings which can be replaced by AN6 or AN10 fittings as desired. Installation is simplified by using the Nuke Performance universal bracket.